The Bitter Bar opened in 2009 under the improbable name of The Happy Noodle. At the time, it was an Asian noodle joint that also served craft cocktails; the assumption was that both trends were hot, so why not? The two motifs didn’t blend together as seamlessly as originally thought, and the cocktails eventually pushed the soba and somen out the back door. The selection of spirits is comprehensive, with an array of bottles lining two shelves that run almost the entire length of the bar. While you can find just about anything you might want, it takes a while. There’s no formal spirits list, as items change frequently. 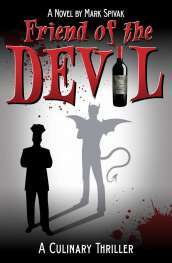 Even so, a list would eliminate the necessity of wandering up and down the bar, peering at labels. The food menu has come a long way from the days of $7 noodle bowls. A whimsical group of bar snacks includes Meatball sliders with red sauce and smoked mozzarella, house made Tater Tots, and deep fried greens with togarashi and sea salt. If you want to dine, there are full-blown entrees such as Flatiron Steak and Cedar Plank Salmon. The massive and phantasmagoric Mai-Kai pays homage to the Polynesian craze that swept America during the post-World War II era. It is the Taj Mahal of the tiki culture, an improbable place that somehow hangs together and exercises a timeless appeal. One of the current members of the management team referred to it as “an escape from everyday life,” which is similar to saying that a private jet or a stretch limousine is a transportation vehicle. The Mai-Kai was opened in December 1956 by the Thornton brothers, Bob and Jack, on a stretch of Federal Highway that was then deserted. 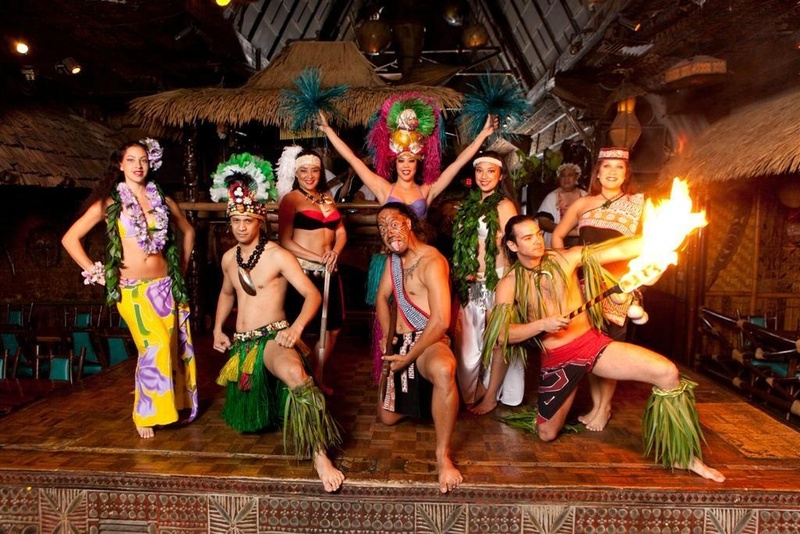 The famous Polynesian Revue made its debut in 1962. Mireille Thornton showed up shortly thereafter, auditioned to become a dancer, and eventually became Jack’s wife. Jack Thornton sold his interest in the restaurant in 1969 and Bob passed on two decades later, but Mireille still runs the place and choreographs the show. The famed Polynesian Revue is a monument to the kitsch and sexism of pre-1968 America. There’s nothing politically correct about it: shapely women clad in sarongs and skimpy bikini tops gyrate wildly to the incessant beating of drums, accompanied by muscular young men in loin cloths. They play with fire, toss knives around, and invite audience members to jump on stage and participate. After a few tropical cocktails, you might be tempted to join them. Those cocktails are the trademark of the Mai-Kai, and few places do them better. Many of the recipes date back to 1956, and all are jealously guarded by the Head Mixologist. The roll call includes all the obvious classics such as the Pina Colada, Planter’s Punch, Mai-Tai and Zombie. Among the daiquiris, be sure to try the Floridita, a favorite of Hemingway’s from the Havana Bar of the same name. The drink list is thoughtfully divided into categories (Mild, Medium, Strong and After Dinner). When they say Strong, they’re not joking---the monstrous Barrel O’ Rum probably contains six or eight ounces of booze, and two of them would likely put Papa himself under the table. At the top end of the scale, the Mystery Drink comes in at $39, but it’s designed to serve four people, and comes complete with a sensual dance from one of the showgirls. The food displays dedication to detail and first-rate ingredients. The menu begins with Polynesian-American favorites such as Crab Rangoon and the PuPu Platter, and moves on to a selection of delicately prepared Cantonese dishes: Orange Beef, Sweet and Sour Pork and Lobster Cantonese, punctuated by the occasional spicy Thai curry. The Mai-Kai invested in two Chinese wood burning ovens, which are extremely rare in American restaurants; the stoves use smoke from a wood fire to slowly roast both meat and seafood. The Mai-Kai seats nearly 700 people in a series of rooms, each reflecting a different region of Polynesia and dotted with waterfalls and lagoons, but the spiritual center of the place is the Molokai bar. If the restaurant has a fault, it’s the bill---the cost of dinner, the show and a bottle of wine will leave you scratching your head in amazement. On the other hand, you can indulge in Happy Hour in the bar (which is where you want to be anyway) daily from opening to 7 p.m., and experience drinks and appetizers at half price (3599 N. Federal Highway, Oakland Park, FL; (954) 563-3272; maikai.com). 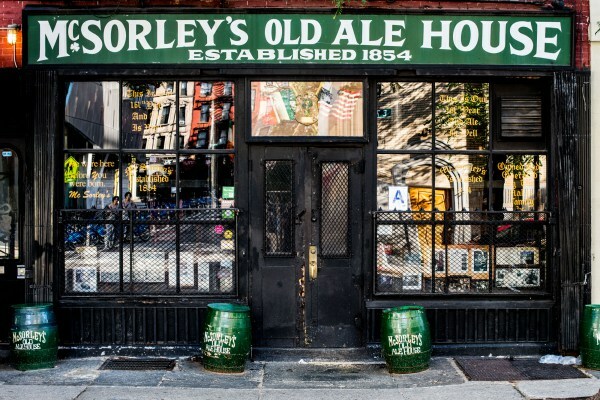 McSorley’s in Greenwich Village is the city’s oldest continuously operating saloon. It was founded in 1854 by John McSorley, an immigrant who fled Ireland’s potato famine, and functioned for many years as a workingman’s pub. Abe Lincoln, Woody Guthrie and John Lennon supposedly drank there. The Irish laborers are long gone from the neighborhood, but McSorley’s presumably still looks the way it did a century ago: sawdust on the floor, yellowed newspaper clippings on the walls, and cheerful personnel providing a refuge from the world. But there are comforts as well. There’s no gluten-free menu, no kale or quinoa. There are no waiters named Todd or Colin, aspiring actors marking time before their big break. It may be gentrified, but the Village is still far from Midtown. Normally, when tourists outnumber regulars, a restaurant or bar is deteriorating toward extinction. Not here: nothing changes, and everybody is happy (15 East 7th St., New York; mcsorleysoldalehouse.nyc). Proof on Main is regarded as an essential stop on downtown Louisville’s Urban Bourbon Trail. The bar is attached to the 21C Museum Hotel, opened in 2006 by philanthropists and art collectors Laura Lee Brown and Steve Wilson. Brown and Wilson wanted to help reverse the pattern of suburban sprawl by rejuvenating the city’s downtown area (and, presumably, to make money in the process). The overall feel of the place is similar to living in the MOMA; the hotel’s public spaces are filled with changing exhibits of the type of art many people used to make fun of, while some still do. In fact, the rebirth of downtown Louisville was already well under way. Fourth Street Live, the pedestrian area containing a variety of shops and restaurants, had made its debut in 2004. With one exception, though (the Maker’s Mark Bourbon House and Lounge), Fourth Street concentrates on more commercial venues such as Irish pubs, sports bars and T.G.I. Friday’s. 21C and Proof on Main dramatically raised the standard of what locals might expect from their bars and restaurants. The motto of Proof on Main is “We take our booze seriously.” This is the type of place where the mixologists (don’t call them bartenders) cut their own ice, make their own bitters and squeeze fresh fruit juices every day. Despite a distinct level of pretentiousness, the list of Signature Drinks isn’t as convoluted as you might expect, and some are quite appealing. The Bourbon list is amazing: nearly 60 of them, ranging from everyday tipples to rare items such as the Van Winkle Family Reserve in 12, 15, 20 and 23 year-old expressions. There are Bourbon flights as well, providing the opportunity to sample trios of America’s native spirit. There’s also an interesting wine program, something which usually doesn’t coexist under the same roof with a spectacular spirits list. The 175 bottles offer something for everyone, from California Chardonnays and Cabernets to Bordeaux, Burgundy and Super Tuscans. In addition, there’s a solid selection of wines by the glass and quartino (an eight-ounce carafe, in case you didn’t grow up in an Italian neighborhood). If you get hungry, the bar menu offers cured meats, artisan cheese, and a dozen small plates. Finish your visit by walking through the hotel, taking in the current exhibit, and staring at the ubiquitous red penguins, designed by Omar Ronda of the Cracking Art Group. They’re quite tame (in the21C Museum Hotel, 702 W. Main St., Louisville, KY.; (502) 217-6360; proofonmain.com). Located off the lobby of the vintage Roosevelt Hotel on Baronne Street, the Sazerac’s décor is as appealing as its cocktails. All of the wood paneling lining the walls came from a single African Walnut tree. Decorating those walls is a haunting series of murals painted by Paul Ninas in the 1930s for the WPA program, depicting waterfront scenes and local street life. The long bar contains several dozen stools, and there are comfortable groupings of leather sofas and armchairs in which groups can relax. The white-jacketed bartenders are cheerful, precise and professional, capable of chatting indefinitely or leaving you alone if you so desire. The staff at the Sazerac has a long history of keeping customers happy. The bar was a favorite hangout of Governor Huey Long, who maintained a suite on the hotel’s 12th floor. During a visit to Manhattan, Long suddenly found himself without access to someone who could make a proper Ramos Gin Fizz. The Governor arranged for Sam Guarino, the head bartender at the time, to fly to New York and instruct his Northern colleagues on the proper technique. In addition to classics such as the Ramos Gin Fizz, the specialty, of course, is the Sazerac Cocktail---named the official drink of New Orleans in 2008. An Old Fashioned glass is first misted with Herbsaint (some use absinthe, but the flavor is really too strong). At the bottom of the glass, a sugar cube or teaspoon of simple syrup is muddled with three dashes of Peychaud’s bitters, mixed with several ounces of Sazerac Rye, and garnished with a lemon twist. In fact, you can get just about anything you want at the Sazerac, including a decent glass of California Chardonnay. That, however, might be a wasted opportunity. Imbibe your Sazerac Rye while you can, since it’s almost impossible to find in Florida---the folks in New Orleans hoard most of it for themselves (in the Roosevelt Hotel, 123 Baronne St.; therooseveltneworleans.com). Williams and Graham is a new American speakeasy located in the Lower Highlands neighborhood of Denver. There is a true speakeasy entrance, an anteroom posing as a bookstore. The friendly hostess verifies your reservation and checks your ID, and you enter a dimly lit space that is a beautiful recreation of a 1920s saloon. A long bar of reclaimed wood holds 15 stools, and five booths of tufted black leather line the other end of the room. Sconces mounted on the wood-paneled walls provide barely enough light to see the back of your hand. Behind the bar you’re likely to find Jason Patz, who put in 12 years as a regional trainer for P.F. Chang’s before deciding he wanted to once again mix cocktails for a living. Patz just might be one of the finest bartenders in America---friendly and thoughtful, creative without being overbearing. If he sees you struggling to read the menu in the near-darkness, he’ll pull out a small reading light and train it on the page. Having trouble making up your mind? He’ll pour you a glass of Manzanilla sherry to tide you over until you’ve made a decision. Once you order a drink his execution is quick, crisp and precise. The selection of spirits is staggering. 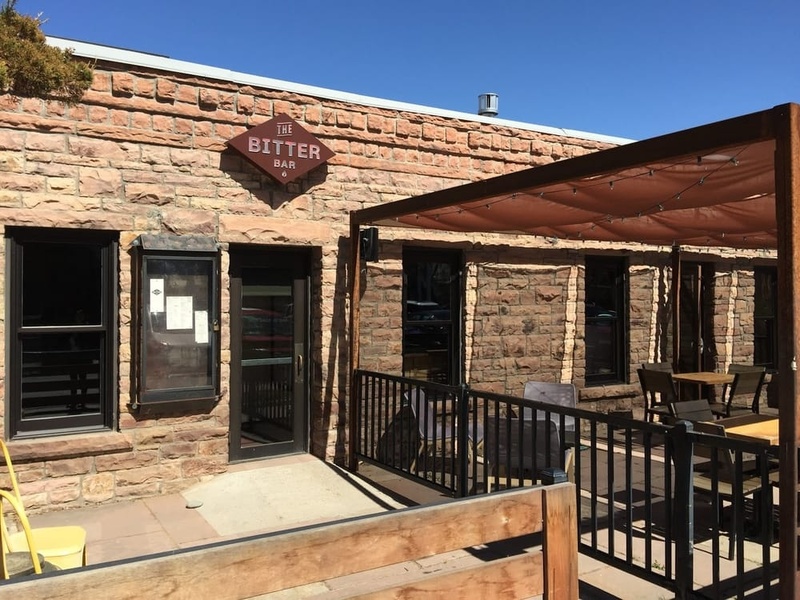 They occupy nearly a dozen pages of the menu and cover every possible category; as you’d expect, there’s also a strong selection of Colorado spirits (Jason likes Leopold Brothers, Peach Street and Spring 44). The food menu changes quarterly, and you can make a restaurant of this place if you want to; offerings range from salads and sandwiches to Tuna Niçoise and steak. If you’re just drinking and grazing, there’s an excellent selection of bar snacks as well. Williams and Graham was opened by Todd Colehour in collaboration with Sean Kenyon, a local mixologist who also has a national reputation. Colehour, a former restaurant consultant and General Manager for the Kona Grill, is the operating partner and the person most responsible for the general atmosphere of friendliness. 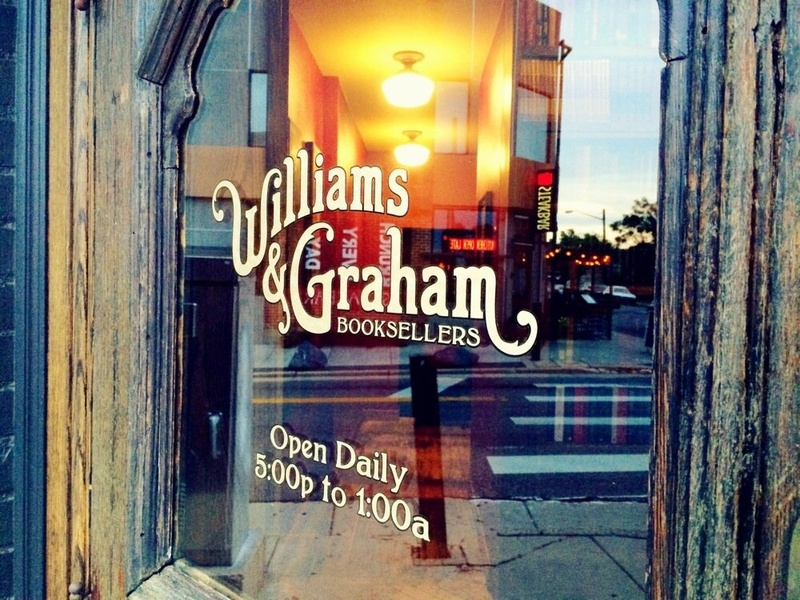 “It may be hard to get into Williams and Graham,” says Colehour, “but once you’re here you’ll feel welcome.” Due to the small size of the place, the wait for a table or bar seat can be as long as two or three hours on weekend evenings. It’s a popular spot after work on weeknights as well, and locals have learned that it’s actually necessary to make a reservation at a bar (3160 Tejon St., Denver, CO; (303) 997-8886; williamsandgraham.com). Send us your thoughts on classic American bars! Do you have a favorite bar somewhere in the U.S. that you feel we should cover? Share your comments and insights with the community!